Adorno, Theodor W., 1903-1969. 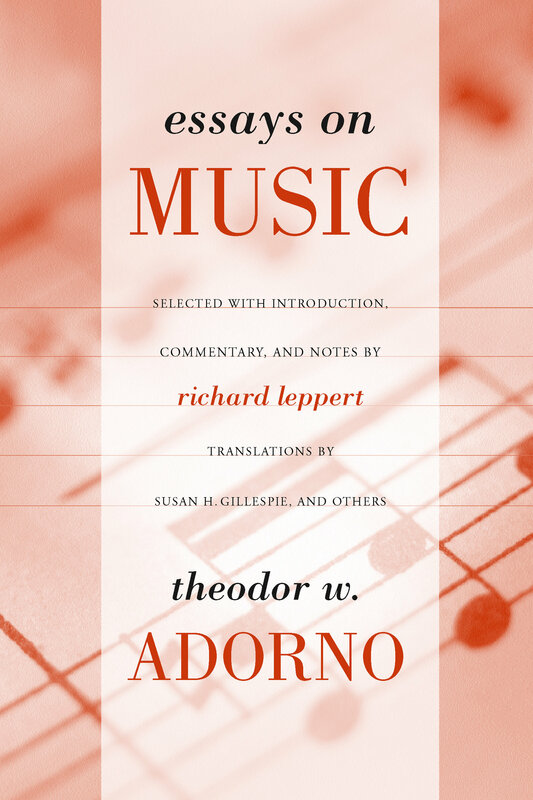 Essays on music I Theodor W. Adorno ; selected, with introduction, commentary, and notes by Richard Leppert ; new translations by Susan. H. Gillespie. p. em. Includes bibliographical references and indexes. ISBN o-520-22672-o (alk. paper).-ISBN o-520-23159-7 (pbk. : alk. paper). 1. The first part of Adorno's lengthy essay on popular music, published in 1941 (written with the assistence of George Simpson).